Have you tried playing Football with a fun bunch on a really cozy pitch with soap water running through? Ahhh! We bet this is gonna be one heck of an experience for you… Soap Football is a sport which is slightly twisted and a fun variant of a rather serious sport. If you are looking for a fun-filled team outing with guaranteed laughter, then this is the one to opt for. Also, this is one super-sport for kids to get them entertained. Chennai has got it’s very own hiding spot for all the Soap Football enthusiasts. Keep guessing as we follow up on more details! Yoooo! Did you guess it right? Never mind! A heavenly rooftop arena just opposite to The Park hotel, Soap Football is not that difficult to locate. Even better if you know the famous Dindigul Thalapakatti restaurant in Nungambakkam, the venue is located just next to it. The venue is open from 12 pm to 12 am. So you can book your slots accordingly. Since the turf in Soap Football is inflated and needs to be taken good care of, you are requested to trim your nails off before you enter the pitch to avoid damages to the turf. Each slot is for 55 minutes and you are requested to be present at the venue at least 15 minutes before your slot begins, so you can get dressed and ready before you take it to the court. Every match is 4 vs 4. 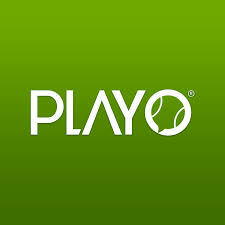 A maximum of 8 players is only allowed at a time to play on the turf. So if you are a bigger gang, then make sure you rotate your players and bench the rest. Each slot is bookable up to 10 players. For any team more than 10 players, an extra fee of Rs. 200 per player will be collected. What are you waiting for? Get ready! Bring in your folks for some terrific fun…. You can make your bookings now through the PLAYO app. Also, check out the app for more offers. 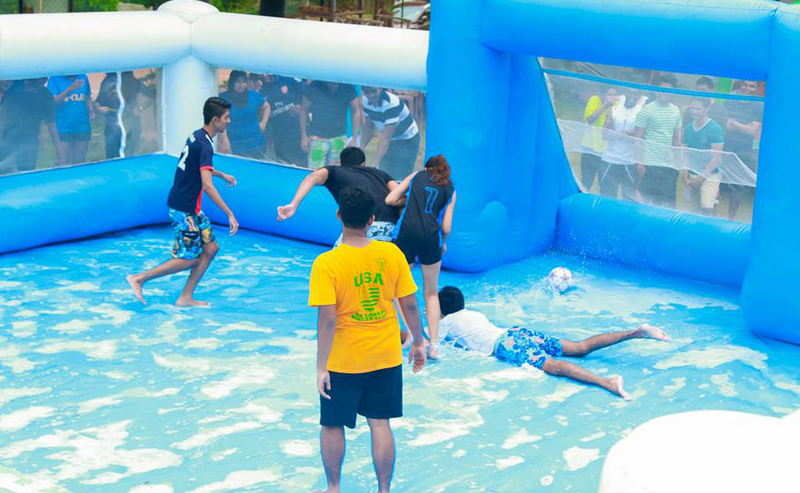 Read: Soap Football Is Now Live And Happening In Hyderabad! Previous ArticleWhy Playing Snooker Is Most Recommended In Today’s Scenario?